Tomorrow, Thursday 8th March, 2018, is International Women’s Day. As we celebrate 100 years of women’s suffrage in the UK in 2018, it’s essential to show the younger generation the importance of their political history, so that they appreciate what’s gone before them, but also so that they can be inspired and harness that energy to forge their path in the future. 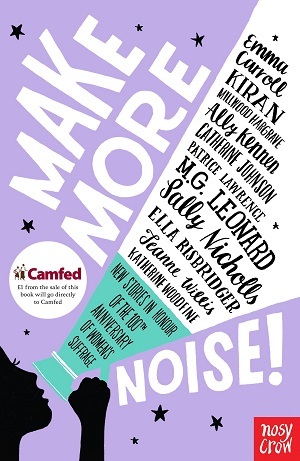 This is a sumptuous selection of short stories by top children’s authors, which all aim to inspire readers and whet their appetite to learn more about important figures in the past, and the meaning of the women’s movement. There are historical stories, contemporary, fantasy; each playing to the strength of its author, so that Emma Carroll and Katherine Woodfine have written delectable historical stories, whereas K Millwood Hargrave goes for fantasy, and MG Leonard sticks to bugs in the present. For me, the defining story is the tale of an ordinary housemaid by Woodfine, as it probes into the essence of what the Votes for Women campaign meant. The idea was more than obtaining the right to put a simple cross on the ballot paper, but rather a different way of seeing women – a chance to provide further opportunities for education and learning, for social mobility, for basic human rights. Emma Carroll’s story takes in the Land Girls, Jeanne Willis profiles the first woman to cycle around the globe in a year, and Patrice Lawrence writes a wonderful tale of the Spitalfields slums inspired by the campaigner, Olive Christian Malvery. Catherine Johnson writes a particularly engaging tale about the fairly unknown 43 Group, ex-servicemen who fought against anti-Semitic activists in Britain, and Sally Nicholls writes a jolly hockey sticks adventure about census night 1911, with a clear political message. It’s all very well preaching history and political correctness, but luckily for its readership, this is a collection that is witty and wise, engaging and accessible, which mixes in themes of friendship, belonging and even the supernatural, whilst still staying true to women’s voices. An absolute joy for the soul – both men’s and women’s, and stunningly written, as one would expect from such a talented bunch of writers. You can buy it here. This large biography book takes a double page for each subject and tells the story of the woman it’s featuring. The author breaks the text into chunky paragraphs with subheadings, and each profile features illustrations, and where possible, photographs. The text reads straightforwardly but deals with complexities – as well as highlighting the life of the woman and her achievements, it also poses questions to the reader: What genius might Emily Bronte have produced had she lived beyond 30 years? The text also extrapolates what was good about these women’s actions – the book features anti-Nazi resistance leader Sophia Scholl, and Halligan has quoted Edmund Burke: “The only thing necessary for the triumph of evil is for good men to do nothing.” The author then goes on to highlight how one person can have the power to change, to speak up for what’s right. 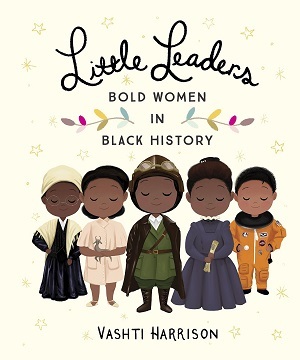 This is a powerful book that highlights the women’s importance but also depicts when in history these women were not recognised – when Mary Anning was not properly credited in museums, how Mary Seacole was never thanked officially by the military for her work. It then goes on to explain why and how these women are now worthy of our studies, of our knowledge, or their place in our ‘history’ or ‘herstory’. 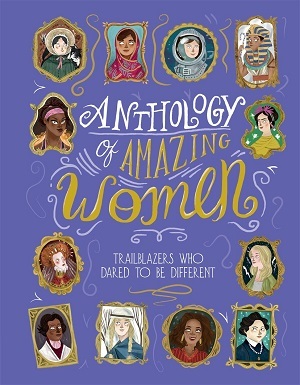 Featuring such diverse women as Joan of Arc, Harriet Tubman, Amelia Earhart, Wangari Maathai, Anne Sullivan and more, this is a powerful and attractive collection of histories. Subjects are arranged thematically, so that Elizabeth Blackwell sits alongside Eva Peron in ‘Help and Heal’. If you’re wondering about Eva Peron, Halligan also points out where people may have found fault in things these women did too – no one is a saint. This is crucial in our analysis of history, and being able to think critically about figures in the past. This objective insight also serves us well: if we portray all women as complete saints, we will find it hard to emulate them. 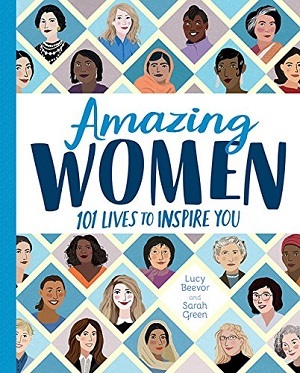 Most importantly, the book highlights how all these women had to fight and work hard to get what they wanted – whether it be publishing at first under a man’s name, acting on stage with a prosthetic leg after traumatic amputation, or dying impoverished – each persevered, and have now been found to have made a huge difference to our lives today. An excellent non-fiction title for International Women’s Day and beyond. You can buy it here. Although there is a little more recognition of BAME and diverse voices in history now, and a little more recognition that all people need to be represented in publishing, there is still a gap in the market for such titles. This beautiful little book aims to plug one gap. Born from a project started during Black History Month, Harrison wants to celebrate those who have been marginalised in the past; some of Harrison’s subjects were not even aware that their steps were forging a path for the future. Of course, there is Rosa Parks and Harriet Tubman, but also less well-known women such as Alma Woodsey Thomas, a teacher and painter. Arranged in chronological order from date of birth, there is a large focus on modern women, with only 13 featured from pre-20th century, but this is to be expected with our patriarchal global narrative that has cast women as inferior for much of history. There is also quite a large American slant, although others are featured too. Each woman is afforded a page of text, and Harrison runs through their lives and achievements succinctly, and without much commentary, and it certainly all reads very positively. Opposite the text is a full page illustration (which is how the project started). The illustrations are very similar – all feature the woman in subject looking doll-like with downcast eyes – and here is the rub. Unfortunately for a book about leaders, it seems a shame to have called them ‘little’ in the title, and illustrated them with their eyes down, looking somewhat demure and docile. Women featured include Augusta Savage, Gwendolyn Brooks, Maya Angelou, Nina Simone, Julie Dash, Oprah Winfrey, Dr Mae Jemison, and Diane Abbot. At the back, Harrison lists a few more, but her bibliography is lacking. You can buy it here. There’s a pattern emerging here! 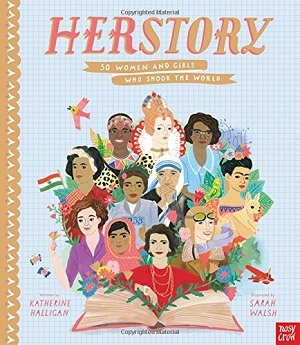 Another biographies book that features 50 women from various walks of life who have made significant contributions to society or ground-breaking achievements. Again arranged thematically, and again featuring a full page of text and an accompanying full page full-colour illustration for each person (somewhat stylised and looking a little like the Women in Science series). Sneakily, the author also shoves in another few women for the chapter openers – obviously whittling the list down to fifty proved difficult. I would query how it’s possible to have a paragraph on Anne Frank without mentioning the word ‘Jewish’, and would query the need to feature this overflow from the 50, seeing as there isn’t the space to highlight their achievements and who they were in enough detail. For the fifty profiled though, the text is factual and unobtrusive without opinion and questioning. A failing here is that there are no dates at the beginning of each profile, so it’s hard to immediately place the woman in history, but the upside is that generally this is quite a different cast of women, and this itself has the possibility to make the reader think. Profiles include: Beyonce, Sheryl Sandberg, Tove Jansson, Yani Tseng, Nettie Stevens, Simone de Beauvoir, Hatshepsut, and Georgia O’Keeffe, as well as the reliable Emmeline Pankhurst, Mary Anning, Mary Wollstonecraft and Frida Kahlo. It is especially delightful to see the inclusion of Chimamanda Ngozi Adichie, a Nigerian writer who has not only written some wonderful novels, but also continues to inspire with her TED talks. And Fanny Mendelssohn, whose husband encouraged her to compose and publish her work. Although cast aside by many because she was a woman, with the foresight of a feminist husband, she was enabled to gain some recognition for her music. Doubling the stakes here, with 101 women featured, this is a more British take on inspirational women, and one of the best. Submitted to me with a press release, it was the only one to express the publisher’s difficulty in navigating history – in that people who were a power for good may also have caused some harm. It mentions replacing Aung San Suu Kyi in future reprints, but has rightly included Margaret Thatcher in spite of many people’s attitudes towards her. Indeed despite less text on each profile (a larger book but sometimes only half a page attributed to each woman), the text manages to deal with controversies, even if mentioned only very lightly, as in the profile of Benazir Bhutto. This book is definitely one to whet the appetite for further research, rather than comprehensive bibliographies, but happily does give the dates of each woman. Arranged thematically again, but with slightly more ambiguity as subtitles include: pioneer, virtuoso, creator, campaigner, inspiration. It certainly feels more modern than the others, featuring mainly 20th century women, with the exception made for Edith Cavell, Marie Curie and Emmeline Pankhurst. The illustrations are full colour, engaging and lively – these women look expressive and as if they are facing the reader, many with querying eye contact. Like all the books featured, this one too promotes hard work and dedication, commitment and standing up for what’s right. The women featured might be lucky to have been picked for inclusion in the books, but there was not much luck in how these women got where they did – that was down to grit. You can buy it here.